Celebrating our Apprentices during National Apprenticeship Week. 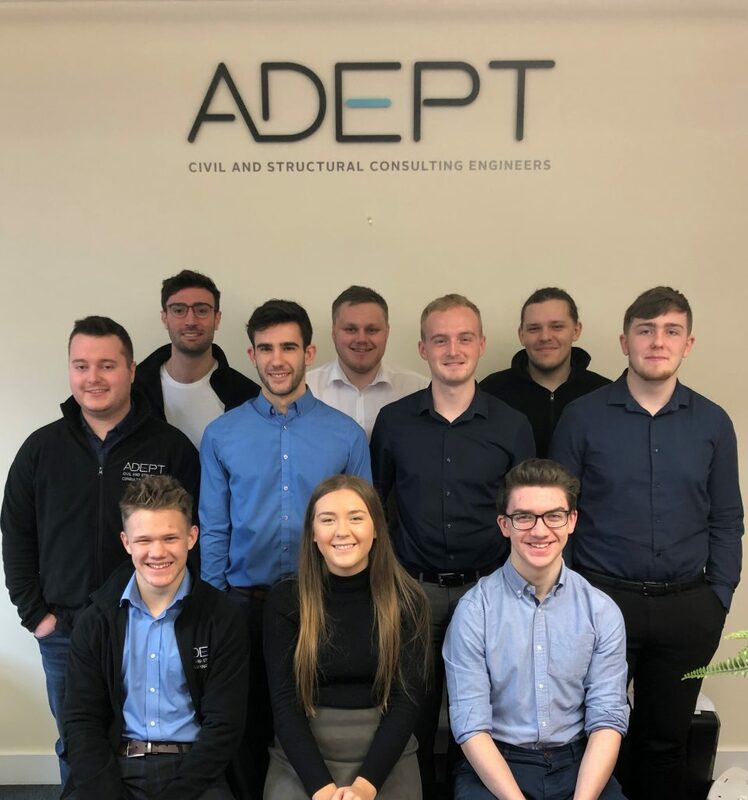 One of our first apprentices is now a senior engineer, having graduated from a university degree funded by Adept, and is now running his own complex schemes. A number of other Adept apprentices are currently studying at University. We are proud to support the engineers of tomorrow and have employed at least one Apprentice every year since 2008. Providing a nurturing, academic and hands-on environment for our Apprentices we love to see them develop their skills and progress through their careers.